Does your dog want to come have fun for the day and play? 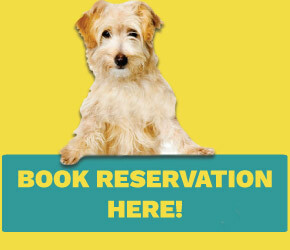 You can contact us by emailing info@Uluckydogdenver.com or give us a call at 720-328-8179. New dogs must first complete a temperament evaluation and must be current on Rabies, DHLPP and Bordetella vaccinations (Bordetella every six months). Also, all dogs over 6 months of age must be spayed/neutered. Please read additional important information. If your dog has never come in for doggie daycare or boarding at U Lucky Dog, we would like to meet your dog to make sure that he or she will be friendly with the other dogs. All dogs must complete a one-time temperament evaluation prior to, or on their first visit. We recommend doing temperament evaluations Monday-Friday, 10 am - 3 pm. Evaluations usually take less than 15 minutes and can include a tour of our facility. ULD also offers Individual Play for Daycare dogs who are not able to play in the playgroup due to medical reasons, social reasons, temperament reasons, not being fixed, etc. This service is an additional $5 per dog, per day. This also includes a dog walk as well as plenty of lovin' and potty breaks during the day. To begin the evaluation you will need to provide proof that your dog has current vaccinations against Rabies, DHLPP, and Bordetella. Please have vaccine records faxed to 720-292-1817. Please note that bordetella vaccinations are not automatically given by most veterinarians unless requested, so you will want to double check your paperwork prior to coming for the evaluation. Because we are introducing your dogs to our pack all vaccinations must be present and up-to-date (every six months). Check out our client's pups after a long day of play at ULD! 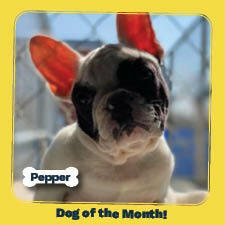 Pick up your refer-a-pup cards today!